The craft beer craze has expanded beyond coveted brews and hoppy concoctions found on store shelves and in brewery tasting rooms -- it's hit home. WASHINGTON – The craft beer craze has expanded beyond coveted brews and hoppy concoctions found on store shelves and in brewery tasting rooms — it’s hit home. Much like craft beer, homebrewing embodies a unique culture steeped in camaraderie and a commitment to quality — plus a bit of friendly competition. All of these traits were brought to life at the Sept. 14 American Homebrewer’s Association (AHA) rally, held at 3 Stars Brewing Company in Northwest D.C. And if one predominant theme emerged from the AHA rally, it’s most certainly the idea of locality. Bootleg Biology, a national yeast rancher collective that isolates yeast strains from various zip codes throughout the country, poured a beer brewed with yeast from Arlington, Va.
A backyard brew with a homegrown yeast: it doesn’t get much more local than that. And this is where homebrewing mirrors the booming craft beer industry. The craft beer movement is special for many reasons, and one of those reasons is that it focuses heavily on what is produced within a certain mile radius, with geographical distinction eventually giving way to cultural purview. A rugged individualism also helps to define both; it certainly helped the partnership of 3 Stars Brewing Company founders Dave Coleman and Mike McGarvey. They built their business on homebrewing roots. “You really need to have a DIY attitude,” says Coleman on the qualities it takes to be a successful homebrewer. While homebrewing is expanding its roots in D.C., Maryland and Virginia, other states are just getting started with locally-sourced, homemade beer. Within the last year, Mississippi and Alabama became the final two states to legalize brewing grain-derived fermented potables at home. “The spread of craft breweries across the country (has) definitely brought in more people to the idea that they might want to brew beer at home,” says AHA Director Gary Glass, who worked with homebrewers in Alabama on the recent legislation. Glass sees no limitations in the fields of craft beer and homebrewing. “They’re really both part of the same community,” he says. And that’s what we have to look forward to: A future of beers — commercial and homebrewed — that possess qualities of locality, individuality and creativity. If that doesn’t make you stand up and yell, “cheers,” I am not sure what will. 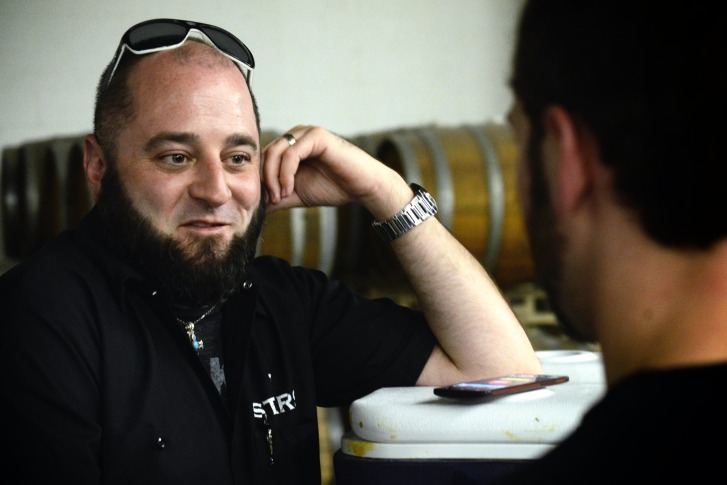 Editor’s Note: Rob Fink lives in Arlington, Va., and is an avid homebrewer. Follow him on Twitter.